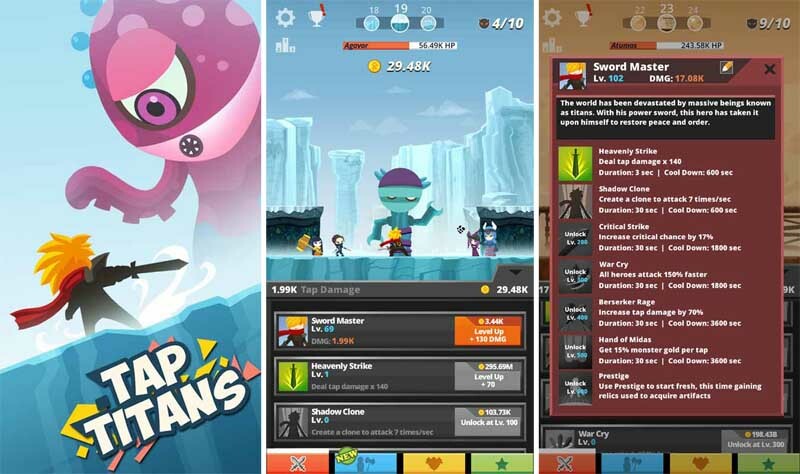 Tap Titans is a great game you can pick up frantically, tap to kill titans, and just put it down whenever. It is one of the great examples of what mobile games should be–simple but engaging gameplay mechanics. You don't really have to spend money for this game because you do get to save up on diamonds (provided you don’t blow it every time you get enough). But then, you may opt to purchase diamonds to support the developers for making this cool game. When in-game, be careful though as tapping heavily may result into some hero tapping-induced cramps to your hands. Get help from our Tips and Hints section on the Guide Contents.